HERE you can read or download The Success stories of Germany. My first attempt to leave Romania was during the communist regime, around 1987, when I just turned 18 and graduated high school. At that ageI thought that it was a child's play, doing something sneaky. If you were to ask me now 'how could we have done such an unfathomable act? ', I think we were a bit unconscious to risk our lives in order to escape. What determined me to leave? I remember my father being a professional driver all his life. He was driving one of those trucks, DAC, which broke down all the time, and the smell of diesel fuel combined with grease, I can repulsively sense it even now. We lived somewhat close to the border in Resita, and I often heard stories about those who managed to escape, stories which seemed to be about an unimaginable world. I was determined not to be a driver like my father, and work for very little money which was not enough from one paycheck to another, and I made a promise to myself, to do anything in my power and leave the country. I am not blaming my father for anything; he struggled to offer us a beautiful childhood, which is something that we indeed had, but after I grew up I begun to see what was happening around me in a different light. 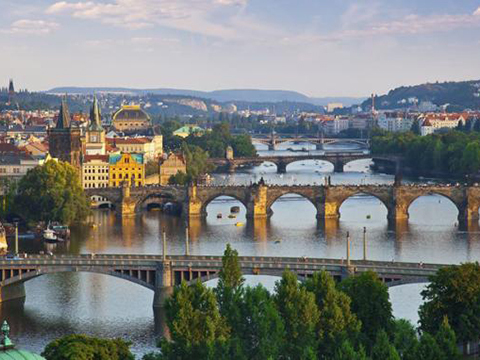 For a few months I made plans with a good friend of mine, and one night we decided to cross the Danube River, but we were caught. We were arrested and after a lot of humiliation they incarcerated us. We were considered worse than robbers, we were considered traitors. After two years we were released, and we made a second attempt the same year as the Revolution, [in 1989], but this time we succeeded. We hid for a while in various places because the authorities were looking for us, even beyond Romania's borders. When I think about those events, it is though they happened in a different life, a long time ago, and it seems as though I am not that old... [laughs]. When we reached Austria we noticed that even the sun was shining differently. Everything was beautiful for us coming from the grey world of communism, but for the Austrian people that was normal. I did not dare to write back home immediately because I was afraid that the Romanian authorities may find me. I easily found a job working in a packing company near Sankt Polten, and I remember that in a few days, I was earning more than my father was earning per month in Romania. My co-workers were not as friendly as the people in Romania, however, I respected this aspect and now I think that it is better this way. After 1990 more Romanians came to Austria, and in 1992 I met my wife. Together we have one daughter who is now 5 years old and she goes to kindergarten. 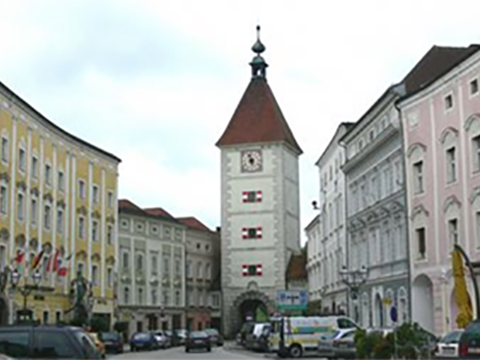 We live in Wels, 15 minutes from Linz. My wife works in the food industry, and I am a production foreman in a company. My whole life has been dedicated to my children. I do not even have any other stories that do not include them. They gave me and still give me the purpose in life, of rationality and love. They are the center of my universe, I circle around them like a satellite orbits. For reasons only known by her, the woman that I was married to had decided to leave us and look elsewhere for happiness, ironically, abroad, as well. I did not have too much time to lick my wounds because the days were filled with the effervescence of the boys who did not stop even for a minute to surprise me with their naughty acts. She left us when Claudiu, our youngest son, was only 2 years old, and when with small steps, he was just beginning to discover his own little universe. Bogdan, our older son, was only 5 years old, and he suffered a lot; he retreated within himself and sought to soothe his sadness in his own world. I do not like to lament, I have always been strong and unemotional, however, I just want to tell my story. 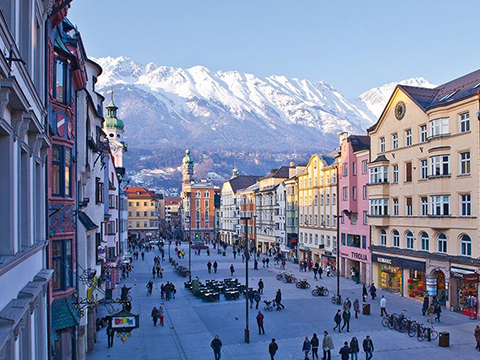 Fairly quickly and almost without too much thought, I decided to leave with the boys to Austria, a country that would help me to raise them properly, where I could offer them anything that they needed for a healthy upbringing: good education, a decent home, and a plentiful living. And that is what I did... In two months we moved into a small but very welcoming apartment, I enrolled the boys, one in elementary school and the other in kindergarten, both government-funded which did not require fees, and I found a job as an engineer working at a nearby institute. The days were passing by so fast, and they were overwhelming and tumultuous, and I did not even notice how fast they were gone. Everything was new for us, the people, the language, the apartment, and the activities. We did not have time for burdening thoughts and heavy tears as we were preoccupied every moment of our daily lives. The years have passed, and the boys have strong wings and vigorous souls. They studied hard and they have prepared for life nurtured by a warm, friendly and happy atmosphere. I admit, they did miss their mother, with whom they rekindled the relationship soon after our arrival in Austria. The relationship that was created between the three of us was magical, it was as though we were three pals destined to experience life's many adventures. We were united for life by many unseen threads arising from the books that we read together, the movies and shows that we avidly watched, journeys, vacations and excursions that we frequently took. Austria for us was a salvation, we were warmly received and gradually offered us its presents. As for us, we were well-behaved and we integrated quickly and properly. We respected its laws and norms, and we were good citizens contributing to its growth. Claudiu is now an engineer, and just like me, he likes what he does, and he works near Graz. Bogdan is a veterinary doctor in Vienna. Each one developed well, matured and grew as they desired. Although, I think that I am the most accomplished as I am extremely satisfied with what I have achieved. I raised two boys all by myself. I have instilled in them beautiful qualities: honor, diligence, truth, courage, and most of all, kindness. It is significant, believe me, to reach my age and to be able to feel satisfied, happy, and fulfilled. I feel that my mission has been accomplished, and I did my best. I did the best I could. I do not know too many people who can say the same thing about themselves, but I know many that would take pride in having a grand home, an exotic car, a great love story, a successful career, a profitable business, a luxurious lifestyle... and they would still feel empty despite the accumulation of wealth. We had decided to leave Romania for a short period of time so that we may earn money and buy ourselves a car. At the time, we had been married for a year and our dream was to own a car. We lived in a village near Baia Mare and we wanted to visit the surrounding areas. In 2005 we decided to go to Austria when my wife, a professor of French language in the village where we lived, had her summer vacation. Whereas for me, I was an engineer fresh out of school with a degree which did not help me too much. I was working at a company in Baia Mare fixing computers, installing various programs, nothing too elaborate. Why did we choose Austria? It was closer to us, not even 1000 km away, and we had a limited understanding of the German language, and we were willing to do any type of work so that we may fulfill our dream of having our own car. 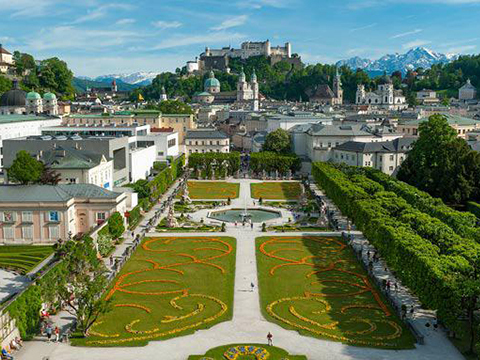 We left on a summer day filled with emotions and a lot of courage to Salzburg where we knew a high school friend of mine who settled there, and we considered his advice helpful. The road trip was uneventful and we soon arrived in the city that was to win our hearts forever. I started to work at a pastry shop and my wife was a room attendant at a hotel. I still remember the fresh air coming from the mountains and the noiseless street where the pastry shop was located. I would go every morning at 5:00 AM to prepare the cream and the pastries that were to be beautifully displayed for the delight of the tourists coming from around the world. How is it said... we had a "very sweet beginning," [laughs]. We do not even know when the three months had passed, which we planned on staying just to earn 3,000 Euro, the cost of a used car. We worked 7 days a week, and that was the reason why we did not visit any place outside of the city. Anyway, our short-term purpose was to earn the required amount to purchase the car, and this is what was motivating us the most. We begun our normal rhythm of life, my wife returned to teaching as it was already September 15, and I returned to my job in Baia Mare. Shortly thereafter, I was notified that my position would be reduced to work on a part-time basis, and that would have meant a significant salary reduction, which was already paltry. For us to live only with my wife's salary, which was 600 Lei per month, was impossible as our car's insurance was a quarter of her salary. I left Romania when I was 11 years old, together with my mom and my sister. We looked at our departure as an adventure, and not as an alienation or separation from our country. Our mother raised us to have a warrior spirit, teaching us ever since we were little girls to welcome challenges and not to run away from them. And here we are, alone in Austria, a superb country, and not just from the point of view of its natural beauty, but also from a cultural point of view. The people, at first, may seem distant and cold, but once the stage of acquainting passes, they become friendly and warm. We have friends who are Austrians, and we spend time together by going to the movies, shopping or having picnics. I believe that we now have a carefree life, quite different than the one we had in Romania. If we would have remained there, mom would have been worried every day. She would have worried about our homework, bills, clothes, food, and many other worries more or less burdensome. Here, we do not worry about such aspects, we are doing well from those perspectives. I graduated from architecture school, and my sister is in her last year of law school. Soon we will both begin our careers, and we will strive to become the best we can be in our fields. Did I tell you? Our mother has raised two winners. Our father was only sporadically present in the picture of our family. Once our parents divorced, he chose to go abroad as well, and he has been in Germany for the last 15 years. He works in construction and he earns enough that he is able to send us money quite frequently. Because I left Romania as a child, it was not difficult for me to adapt here. First, I learned the language, step-by-step, and then I learned everything else which came naturally to me. Nothing was forced or overwhelming. Maybe it was a little bit difficult for mom, but I do not believe so, the way I know her, she changed every difficulty into a learning experience. We never lacked anything, money, books, vacations, food, but maybe we just lacked spending more time with mom. She was a doctor in the main hospital, working many hours, and most of the time she was performing surgeries or was on duty. She instilled in us strength, faith, courage, and most of all independence. She was telling us that only these characteristics lead toward living a free life according to one's own wishes. She did not believe in any type of constraint, oppression or dependence, and because she knew that, she was teaching us that in order to become strong and fulfilled individuals we must develop those qualities. She did not accept for us to make excuses or to be sensitive. She did not encourage lamentation and she always pushed us toward challenges. She never coddled us, in fact she told us to confront any unpleasant situation with courage. She did not tie our shoelaces, nor did she serve us in our beds sandwiches or juices or clean up after us. She was an atypical mother, totally different than the rest of mothers who were in love with their children, indulging them every step of the way. Her love was manifesting in other ways, not through the encouragement of whims and fancies. We were lucky, my sister and I, to have our mother always behind us, encouraging and supporting us, or even scold us, whatever the case may have been. Now I think she is also completely happy because we have grown and matured, and also because she has met a good and kind person who loves and understands her exactly the way she is with her qualities and weaknesses. My mom's boyfriend is a doctor, also, at the same hospital where she works, and they make a great team, consulting each other with regard to serious cases. They complete each other very well and they love one another. I am happy for her and for our family, as we have journeyed, at times, a difficult road, and other times, a cloudless landscape, but always together. I believe that any obstacle that life throws at a person, can be easily overcome if there is this 'together.' We lived, loved and overcame everything together.